It seems everything is not fine between Indian skipper Virat Kohli and his limited overs deputy Rohit Sharma. It seems everything is not fine between Indian skipper Virat Kohli and his One Day International (ODI) deputy Rohit Sharma. If the recent activities of Rohit Sharma are to go by, it seems there is a rift between India’s star duo. 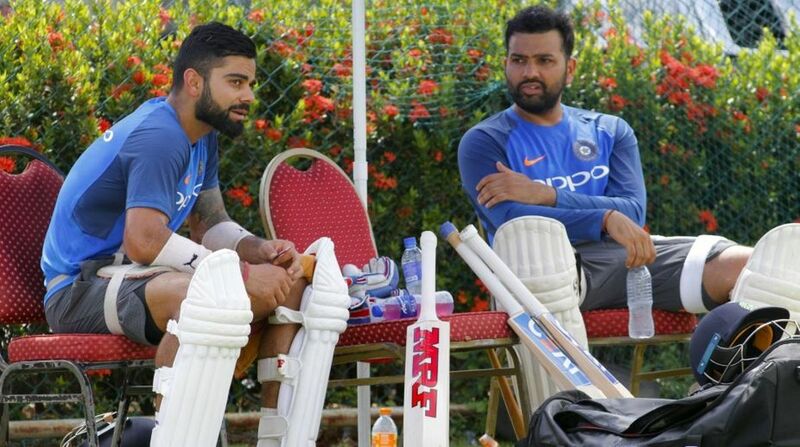 As per reports in the media, Rohit Sharma has apparently unfollowed Virat Kohli on various social media pages such as Twitter and Instagram. And the 31-year-old Mumbai batsman’s action has caused a huge stir among fans. Dhawal and Shardul are his friends from a very long time. Plus, neither does Virat follow Rohit. But I don’t understand, why do social media followings matter so much? Rohit Sharma unfollowed Virat Kohli in twitter and Instagram . 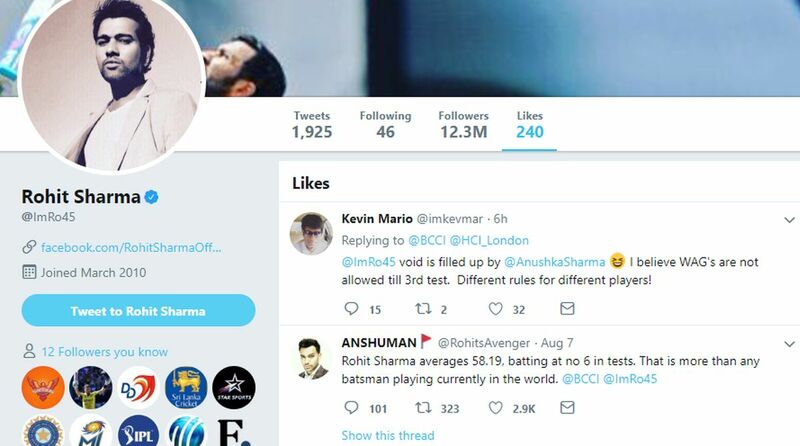 Earlier, Rohit Sharma had also liked a Tweet by a fan questioning the double standard of Board of the Control for Cricket in India (BCCI) after Anushka Sharma was spotted with the team when they visited the Indian High Commission in England. BCCI had confirmed that WAGs (wife and girlfriends) of any players would be given only 14 days to accompany their partners and that will be after the first three Tests. Interestingly, Rohit Sharma also liked a tweet in which a Twitter user had questioned his exclusion from the Test squad. Meanwhile, Rohit Sharma has been named Indian skipper for upcoming Asia Cup 2018 with Virat Kohli being rested.